Weekly Giveaway Series SS2011: Kiss + Broadway Nails Winner Announcement! Congratulations! I've tweeted you for your address details to send you the prize! 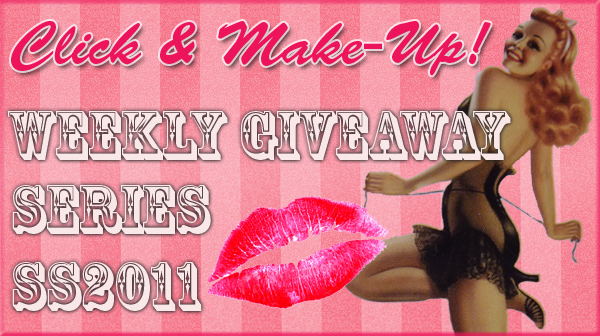 If you didn't get lucky last week, this week's giveaway prize will be announced very soon! So the week before last I was on a work trip in the South of France. I went with a work colleague and we were able to bring our fellas, so it was all good! I love stumbling across new make up brands when I'm abroad and always make a pilgrimage to Sephora. We didn't decide to hit up Nice until the final day, so it was a bonus that I actually found a Sephora as Monaco sadly lacks one. I got the lot for €21.05 - bargain! The products have pretty cool names...this neutral palette - Never Let Me Go! - was only €5.49. While the shadows aren't massively pigmented, they're along the lines of most MAC shades I've tried. With the right brush and some primer they work well, and the colours are gorgeous. The best steal were the liquid eyeliners, I got normal black and waterproof. They are intensely black and I'm loving them as much as my Illamasqua Precision Ink. My colleague alerted me to the fact that there was a massive stash of the toiletries in a locked cabinet in our bathroom - the temptation was too much...they really shouldn't have used frosted glass! I've heard a lot about L'Occitane recently, but never tried anything from them, but our cabin steward met us with a couple of glasses of champagne and canapes and some soaps on a tray, so I plumped for this one. It was an odd, but very sweet touch! Do you hear the chorus of Angels? Actually, I was pretty disappointed with Sephora, and this hasn't been the first time. I find it horrifically expensive in Europe - €52 for the NARS Blush/Bronzer Trio (summer set) versus £39 in the UK?! Uh, no thanks! So I just picked up this €4 cheapo perfume to throw in my bag. Check out this cool pink chandelier in a Nice shopping centre...I'd like a mini one for my bedroom. So those were my beauty related adventures abroad...I really should have taken some FOTDs and FOTNs but I was on the go non-stop. 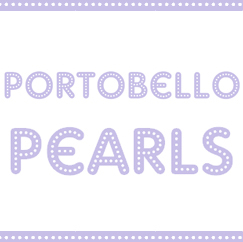 I'll probably do a couple of travel, food and maybe fashion related posts on the trip over my personal blog, Portobello Pearls...check it out if you haven't already! Max Factor's latest offering from their False Lash Effect family is Fusion, which endeavours to offer that somewhat contradictory package of length and volume. I was kindly sent this last week and have reached for it every day since. I already own the original waterproof False Lash Effect mascara having seen a friend of mine create the most amazeballs lashes with it - I literally stopped in her in the street and asked what mascara she used. As you will see, the tube and the wand are basically the same as the original (also the same as Covergirl Lash Blast in the US), so it's the formula of Fusion which differs. I would definitely say that it's more lengthening, but I wouldn't tag this as a particularly volumising mascara. 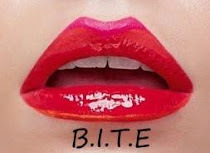 The effect reminds me much of my favourite daytime macara - Maybelline Lash Stiletto. The formula is just the right consistency - no too wet or dry - just goldilocks! I normally hate plastic wands - I'm a huge fan of the traditional brush (think Lancome Hypnose, MUFE Smoky Lash) - but Fusion's performs just fine and doesn't bother me at all. I find big wands like Benefit's BadGal a bit unwieldy, as a big wand doesn't necessarily translate into bigger lashes! While Fusion's is pretty big, it's however very easy to be accurate and reach the smaller lashes because the bristles are quite short and taper towards the tip of the wand. All in all, it's a very good mascara, but on my lashes it delivers more on length than volume, which for me is just dandy. It's £11.99 at Boots - a bit steep for a highstreet brand - but many of the brands seem to be hiking prices. There's currently a 3 for 2 offer on so make the most of it! Have you tried Max False Lash Effect Fusion?